CeCe Younger grew up riding horses. By the time she was eighteen, she was the youngest woman to be admitted to the U.S. Equestrian Team. 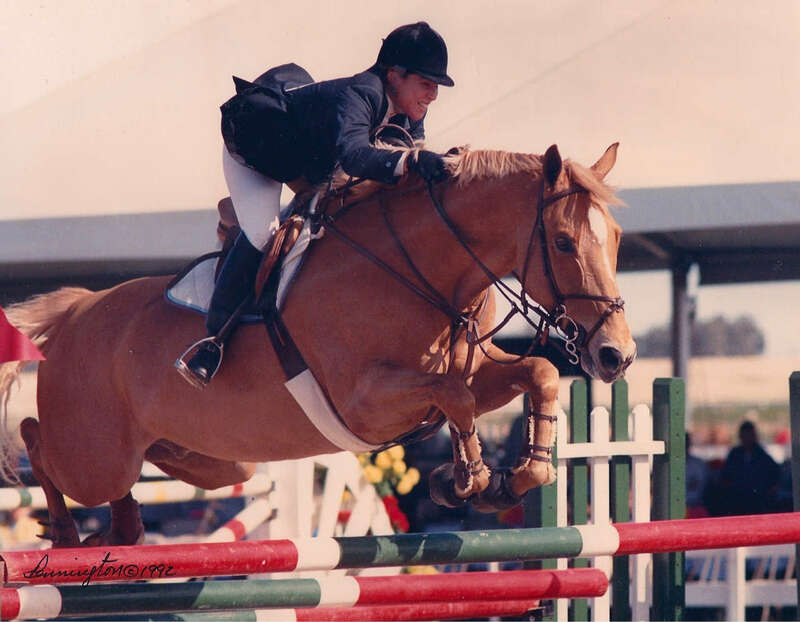 She represented the U.S. Equestrian Team in international competitions before an injury forced her retirement in 1993. 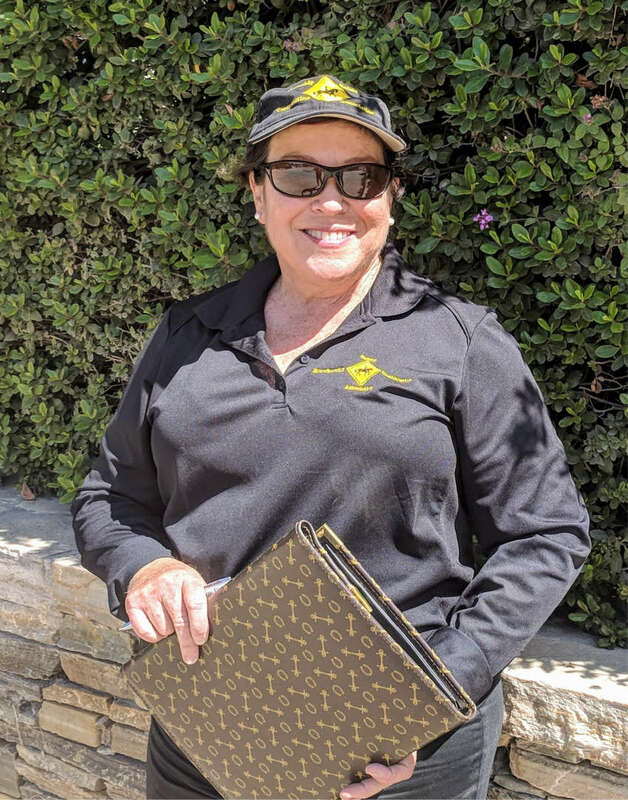 Miss Younger has continued as an influential figure in the equestrian world and has gone on to develop a thriving equestrian consulting business that includes certified horse appraisals, litigation & expert witness services, coaching, judging, clinics and more! Copywriting Diploma, 1990, The Advertising Center, Los Angeles, CA. Senior Life Member, The Society of Agricultural Appraisers. USPAP Certified Horse Appraiser/ Senior Lifetime Honorary Member, The American Society Of Equine Appraisers. 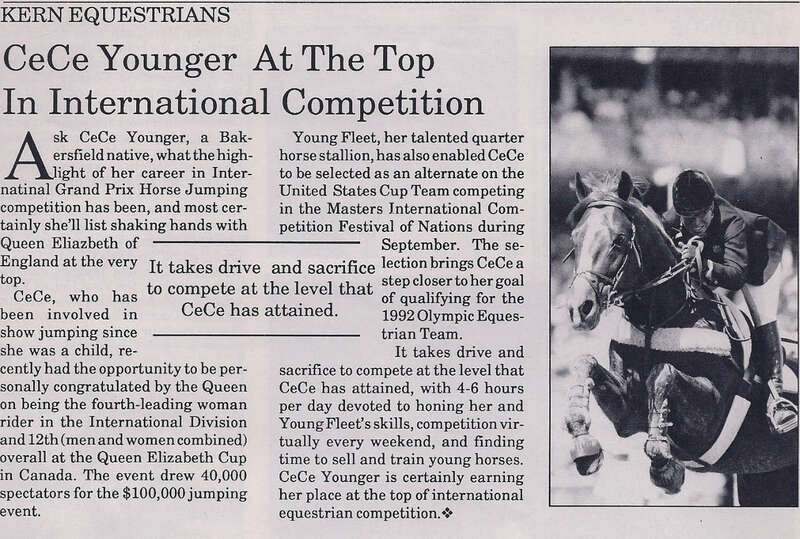 International Horse Jumping Competitor, Represented the United States in International competitions, 1971-1993. -Inscribed on the special list of USET members/participants that was carried by U.S. Equestrian athletes who competed in the 1992 Summer Olympic Games in Barcelona, Spain. -Winner 1987 Mercedes National Show Jumping Championship, Madison Square Garden, New York. -Member U.S. Nation’s Cup Team, 1990, Calgary, Canada. National Jumping Director, Am. Warmblood Society, 1992-1997.